Tweaking collections by using a cloche to display favorites is always fun. I found this small cloche while thrifting on Friday. I've tried out several small collectibles in various backgrounds. Depression glass pepper shaker, old pump pencil sharpener and a waxed leaf, an a vintage alarm clock in front of the Salter Cast Iron Scale. 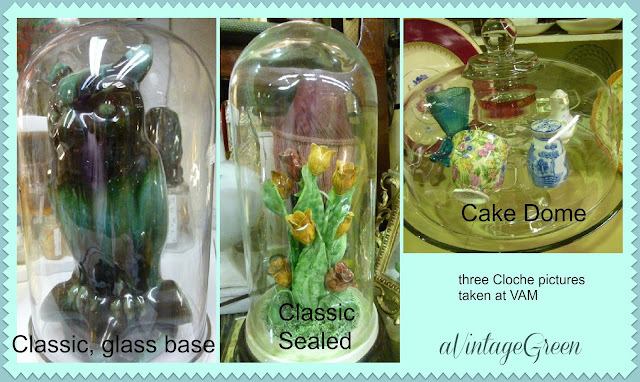 When working on my booth on Sunday I found only three glass cloche in the store. The owl under glass is mine and the classic sealed and the cake dome belong to other dealers. I added the items to the cake dome (and then put everything back where it belonged). The picture below is my favorite cloche this week - a pint sealer with zinc and glass top, reversed. My favorite of these is the hydrangea. 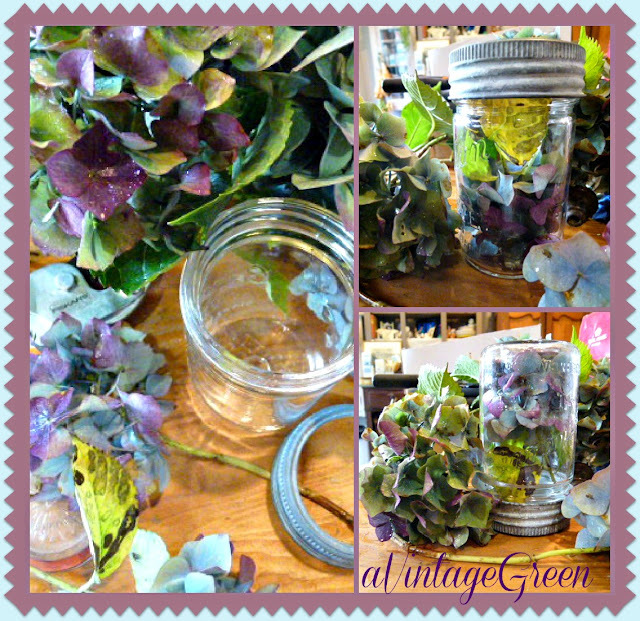 I want to dry a hydrangea just for this sealer for a semi-perminent display. So I went outside, clipped a few more hydrangea blossoms and made another cloche, this time a keeper. Always fun making something fresh. Those are all precious and very cute idea. Thanks for sharing. All so nice! But my favorite is the one with the scale in the background. COOL. Love the clock in glass. Who would have thought of a jar filled with blooms? Thanks for sharing, Joy. Love the cloche you found on Friday, GREAT find! Have a good week! 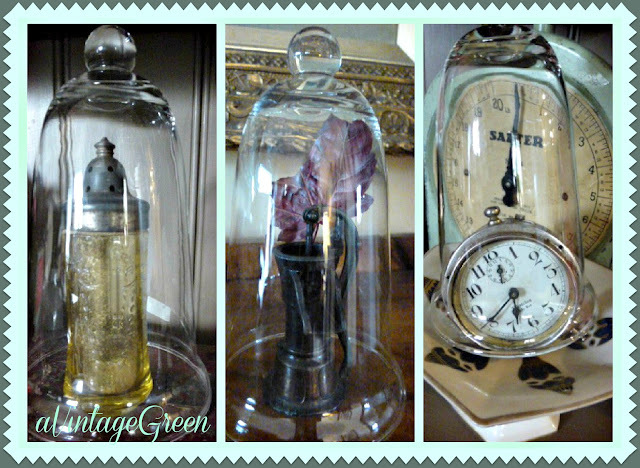 What a cute idea with the jars as cloches! Love it! The canning jars as cloches is such a great idea there my favorite. The Hydrangeas caught my eye. I have a bunch drying. I also like the idea of the jars. So glad I came by today. Thanks for sharing. They are all so lovely and your ideas for them are great, but I do have a weakness for Hydrangeas, especially when they beginning to dry out and turn wonderful autumnal colours. Lovely photos and ideas. The upsidedown jar idea is great! I should have thought of that as I have the same type of thing (upsidedown jar with a flower inside) that my great-grandmother made in the 40s or 50s! 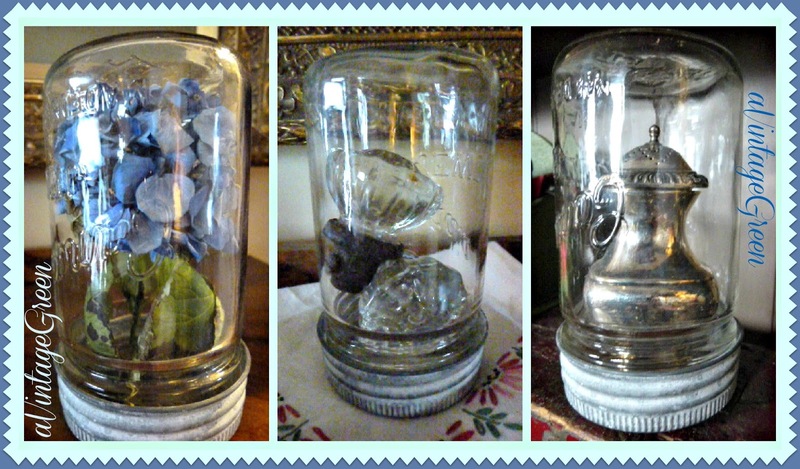 So cute, I've been wanting to do a christmas snowglobe sort of thing like that with the mason jars. How lovely! 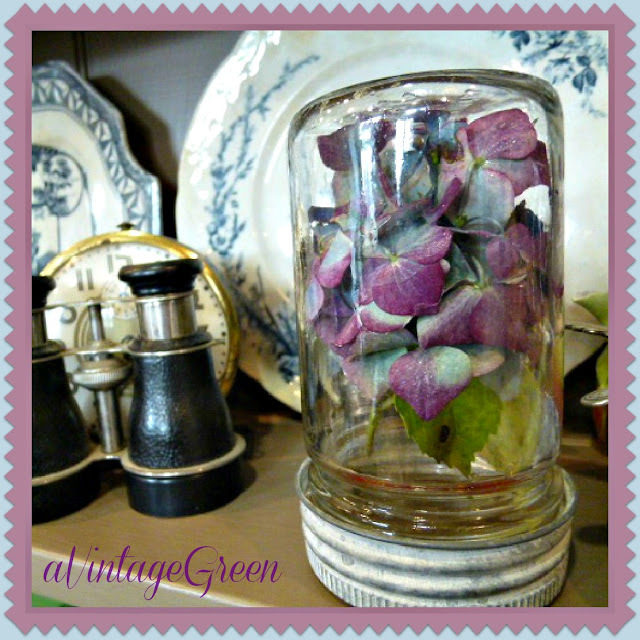 and that hydrangea in a mason jar is perfect!! 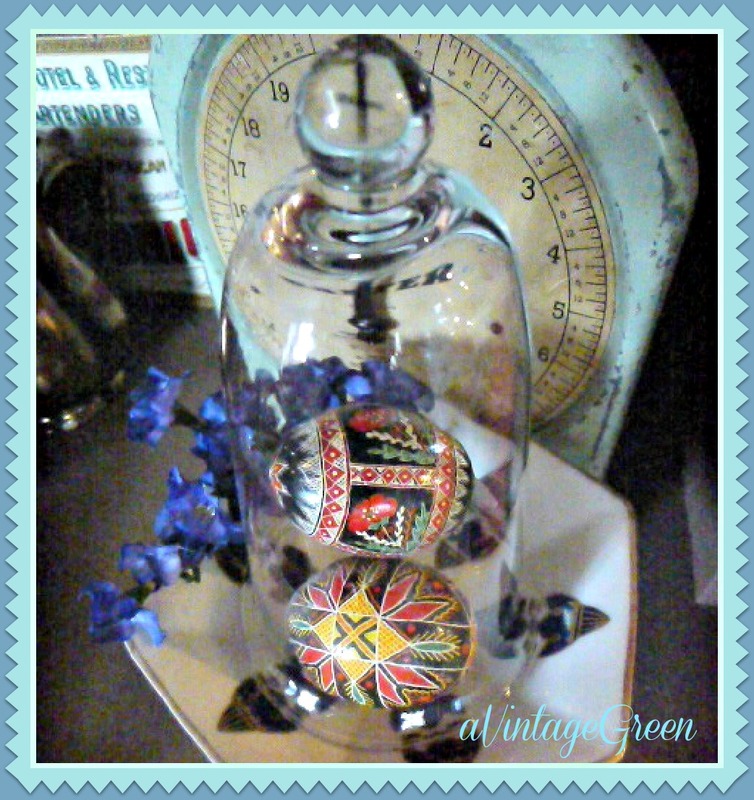 That little cloche was a great find! Never would've thought to use a mason jar...might have to try that! I love those Easter eggs.